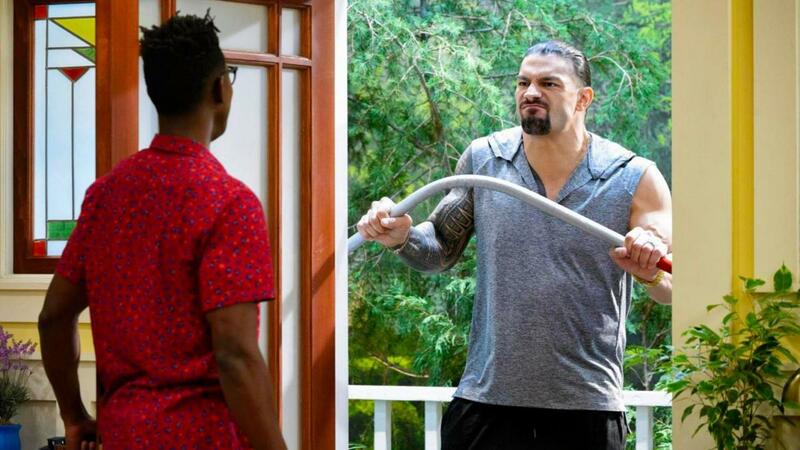 Ahead of making his big-screen debut this summer, Roman Reigns (Joe Anoa'i) will be making an appearance on a Nickelodeon series next month. Reigns will appear on an episode of Nickelodeon's "Cousins for Life" that is set to air at 8:30 p.m. Eastern time on Saturday, March 2. Reigns "plays Leaf’s neighbor Rodney who is angry that Leaf’s pet pig dug up his vegetable garden. However, Stuart, Ivy, and Leaf discover there’s more to the story and come up with a plan to save their pig." It was revealed last month that Reigns has a role as Hobbs' brother in the Fast and the Furious spinoff "Hobbs & Shaw." Hobbs is played by Reigns' cousin Dwayne "The Rock" Johnson, who stars alongside Jason Statham in the movie.